Tyler Phipps has been a crop consultant with Crop Production Services (CPS) in Shelbyville for five years. Coming from eastern Kentucky, he did not realize the tremendous opportunities available in agriculture, but he is thankful CPS gave him a chance. Tyler grew up in Wolfe Co. on a small hay and tobacco farm, and remembers his first jobs of throwing square bales and dropping tobacco sticks.  He decided that agriculture would be a good fit for his education, studying agriculture economics and business at the University of Kentucky with plans to go to law school. Once he started thinking that he did not want to be in school that long or indoors that much, he started to hone in on a path for his future career. Agriculture economics and business were still a good fit, and Tyler earned an internship with CPS, which later turned into a full-time job. While one might think a crop consultant would need a stronger background in plant and soil science, he said his degree has served him well, especially when working with farmers on budgeting. CPS provided a training program when he stared his job to increase his agronomic knowledge. He’s also learned to have a flexible schedule. On a normal day, Tyler works with growers to figure how they can make a profit. He said it is more about being in a partnership with the farmers. Tyler said experiencing harvest is his favorite part of the job, seeing the result of the farmers’ investments in his recommendations. When looking at a career in crop consulting, Tyler believes that there are many good ag programs in Kentucky that will prepare young people for the position, whether it is agriculture economics or agronomy. He said the experience part is slow to come, and he thinks it takes making some mistakes along the way to gain the experience. Tyler also said having confidence in your knowledge is a key component for crop consultant success. Honesty is another quality trait. He does wish he spent a little more time with public speaking since he must speak in front of large groups on occasion. Networking, however, is one of the most important things he believes a young person can do, meeting new people and sharing ideas.